Our Easter Bunny Egg Monogram is positively perfect for Easter! 5.0 oz. 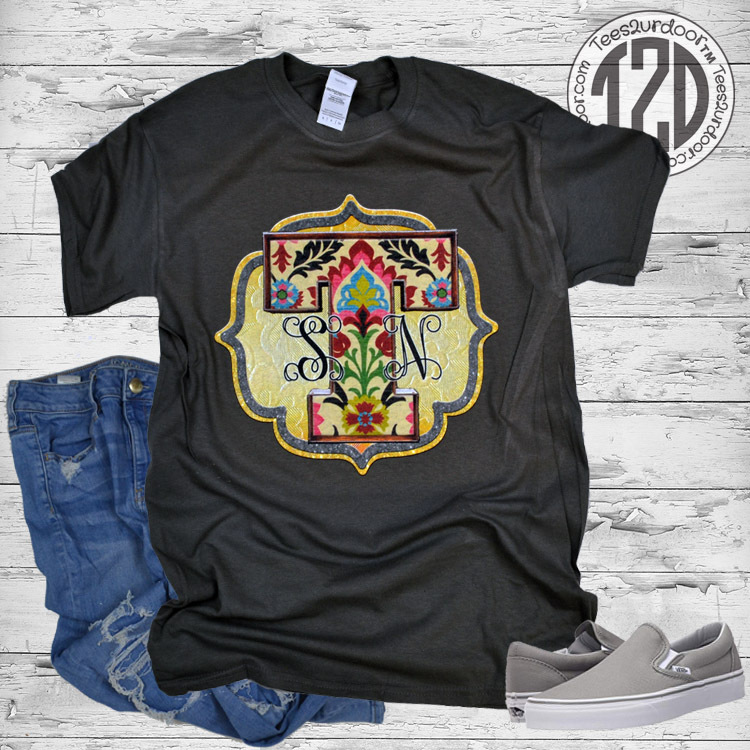 100% preshrunk cotton natural T-Shirt. 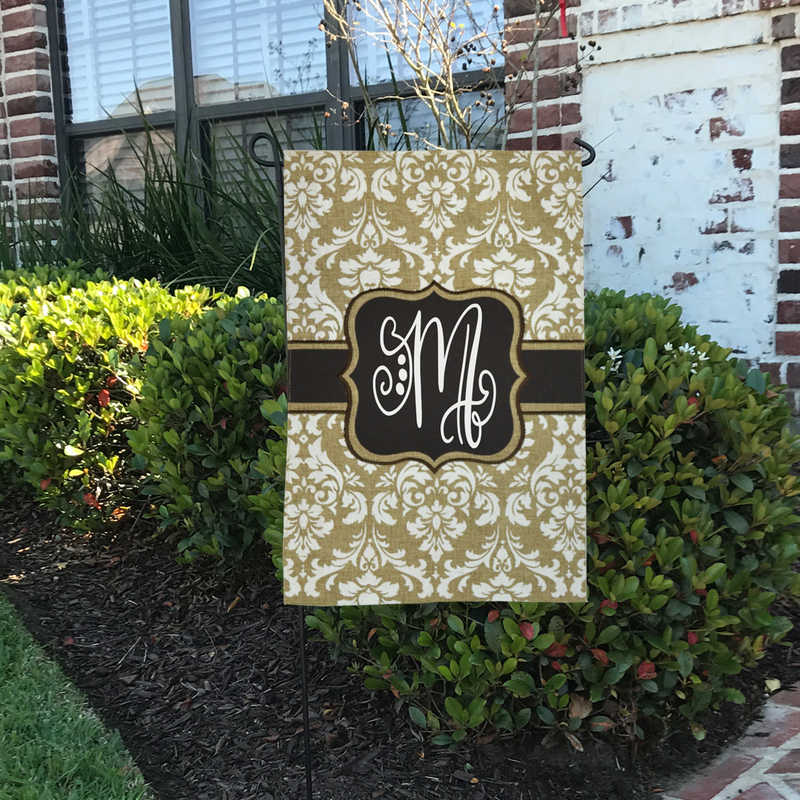 We will add your unique 3 letter monogram in rich chocolate brown! The monogram is placed on the coral egg and we suggest using all 3 letters of your monogram. Please enter your monogram: First, Last, Middle. 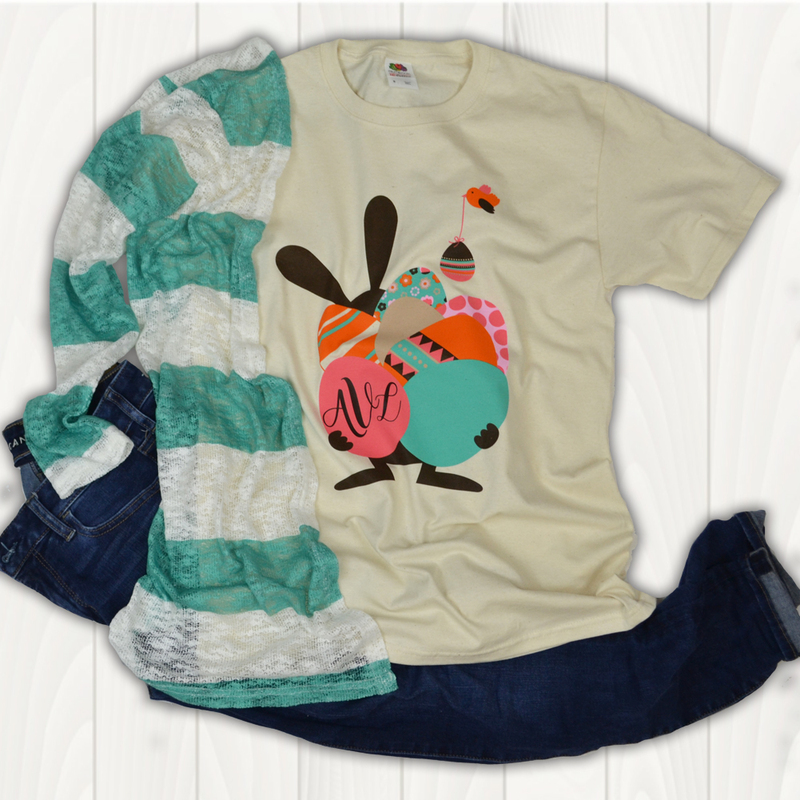 We love this tee, especially when it's paired with our lightweight cardigan!! 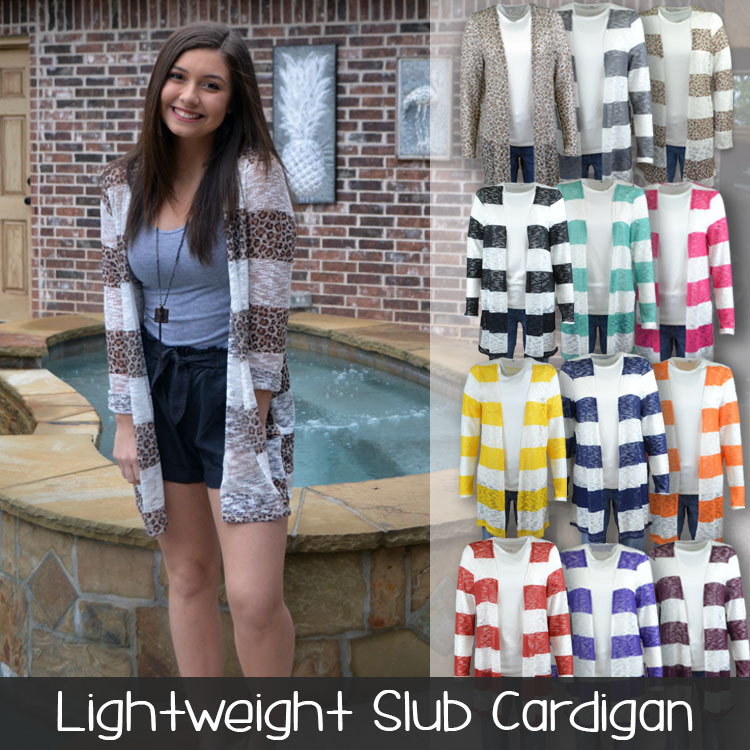 We suggest the Lightweight Slub Cardigan in Cheetah, Cheetah Stripe, Teal Stripe or Orange Stripe!